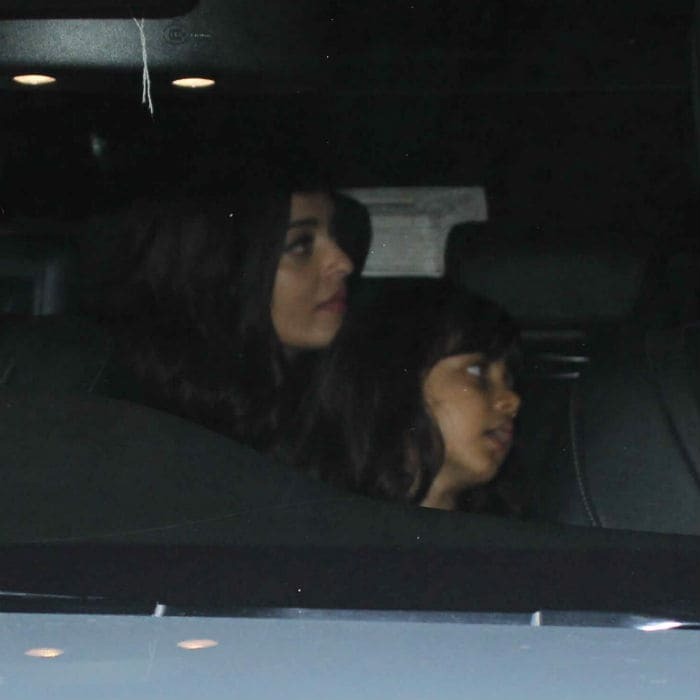 Aishwarya Rai Bachchan and Aaradhya return from Cannes. 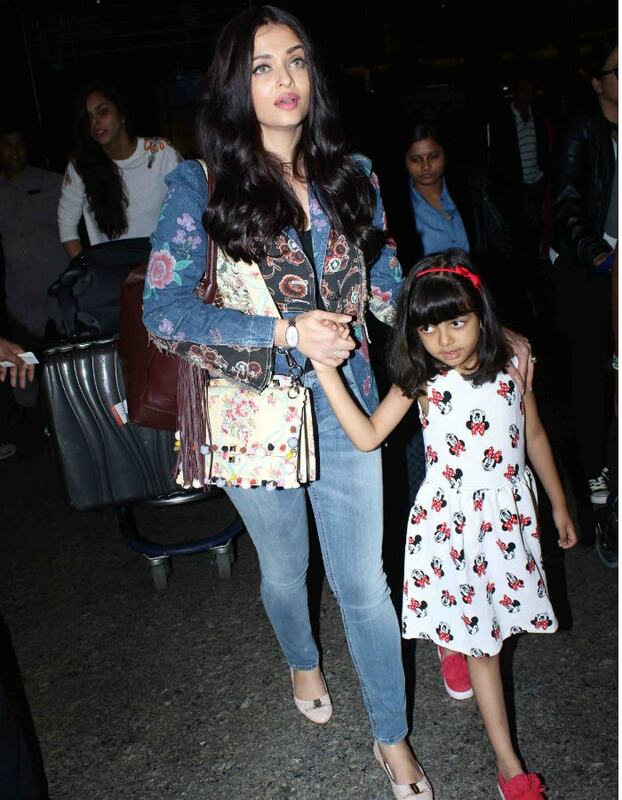 Aishwarya Rai Bachchan and her daughter, Aaradhya, are back from Cannes Film Festival. Aishwarya walked the red carpet twice on Friday and Saturday as a L'Oreal delegate and represented her film Devdas, which was screened at the film festival for a select audience. Aishwarya Rai, 43, was photographed with Aaradhya, 5, at the Mumbai airport on Sunday night. 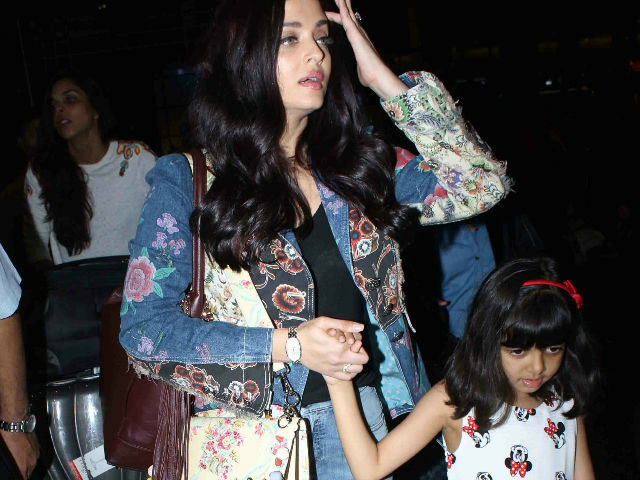 Aishwarya looked chic in denims and tee paired with a stylish embroidered jacket while Aaradhya looked cute in printed dress. Aaradhya, who as Aishwarya says is now at ease with the media, smiled as the paparazzi clicked pictures. Take a look at some pictures of Aishwarya and Aaradhya at the airport. Aaradhya, who is Aishwarya's Cannes companion, shared the limelight with her mother on Saturday when she sort of walked the red carpet. Aaradhya looked confident and super adorable in a fluffy pink gown. 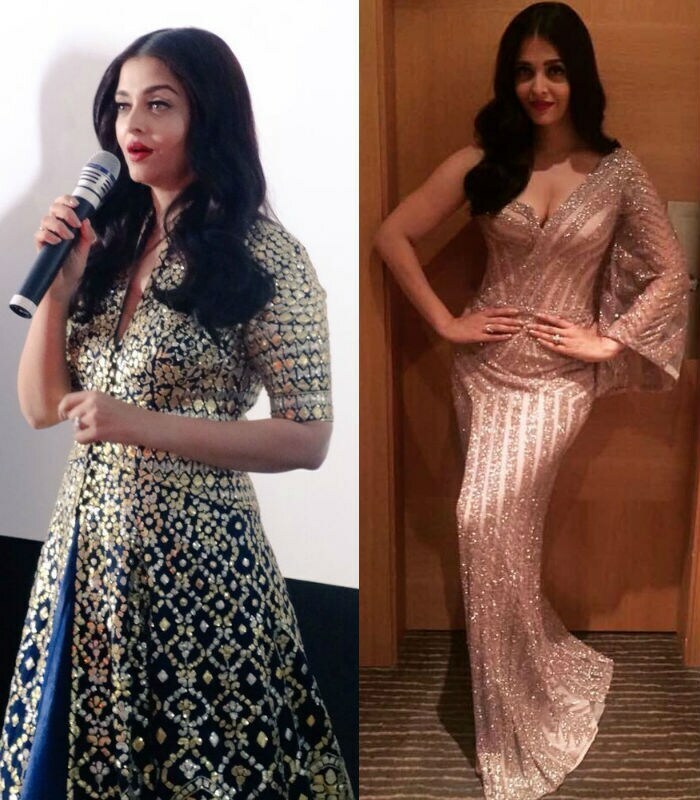 Aishwarya Rai Bachchan rocked the red carpet this year in very extravagant style. For her first appearance this year, she opted for a spectacular Michael Cinco gown and the nest day she stunned in a red ruffled Ralph & Russo. 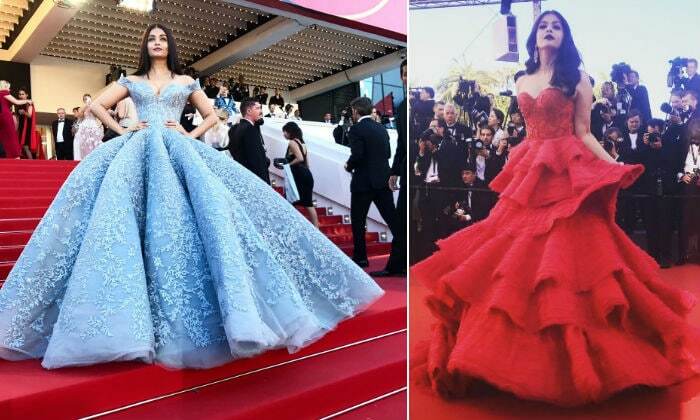 Aishwarya Rai Bachchan, who is a Cannes veteran of 16 years, did not miss off the red carpet either. She wore a green Yanina dress, a Mark Bumgarner gown and a black pleated dress by Ashi Studio. For the screening of Devdas she wore this embellished anarkali and was also spotted in a Monisha Jaising creation. It is safe to say that Aishwarya Rai Bachchan's red carpet report had no red marks this year. Of her fashion critics, Aishwarya told new agency PTI: "I've never made it the fulcrum of my existence. We are a public personality and I know with social media, everybody has an opinion. I am realistic, I recognise them. I am on the public platform so there will be opinions galore." Back at Cannes, Sonam Kapoor took over from the former Miss World to represent the make-up giant. Before Aishwarya, actress Deepika Padukone walked the red carpet.